Order in next 14 hours and 6 minutes for despatch today. Large Antique Brass Snap Hook. 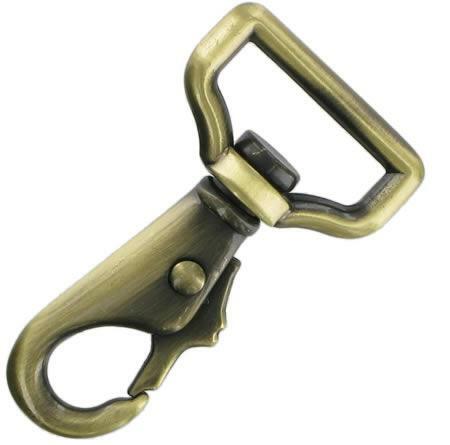 This antique brass metal snap hook is made for briefcase shoulder straps. It measures 63mm long. It will accommodate a strap of 1" (27mm) in width.